Here’s a great stock up price on toilet paper! 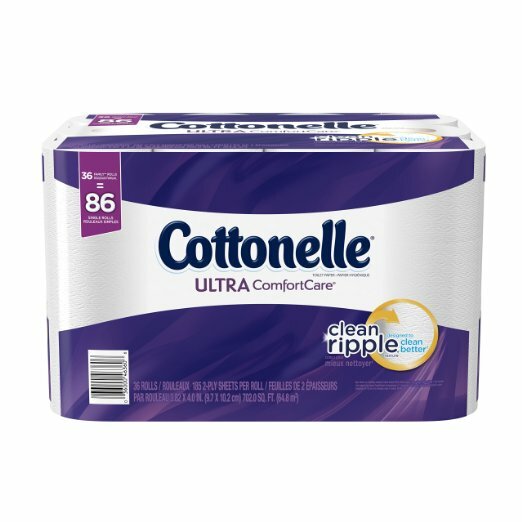 Head over to Amazon, where you can get the 36 Family Roll pack of Cottonelle Ultra ComfortCare Toilet Paper for $15.57 when you clip the 20% off coupon and purchase it using the subscribe and save option! The 36 Family Rolls in this pack is the equivalent to 43 double rolls. So, that’s like paying only 18¢ per single roll!